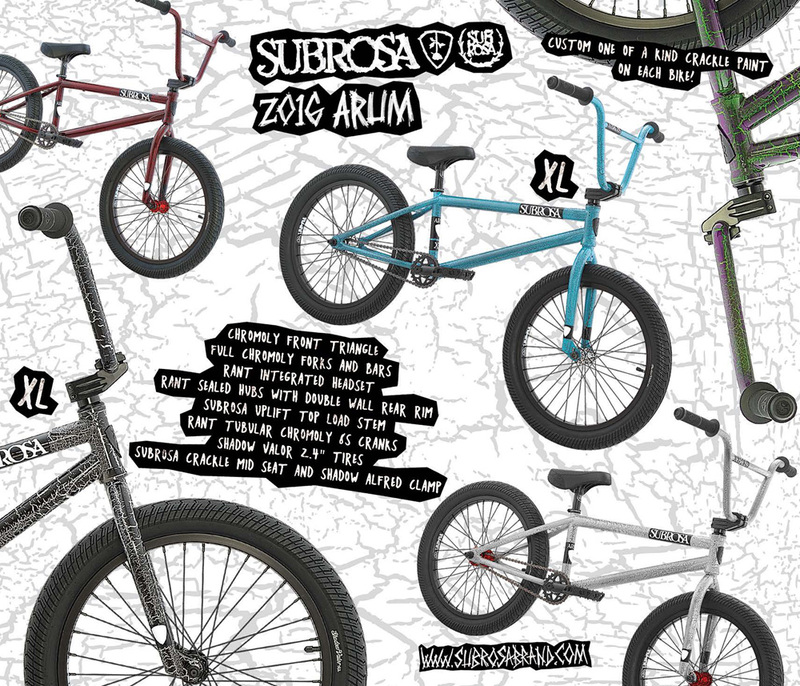 2016 SUBROSA ARUM & ARUM XL COMPLETE 20″ BIKES ARE COMING IN HOT! The Subrosa Arum is back and looking better than ever for 2016! 5 total color choices between the Arum and Arum XL models featuring amazing color options with a nice component line up. All at a price you can afford! 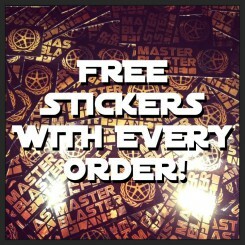 Click HERE to view more photos, and to order yours now! The Arum features a 20.5″ tt and comes in purple / neon green crackle, grey / black crackle, black / red crackle. The Arum XL features a 21″tt and comes in two colors, crackle black / white and blue / black crackle. 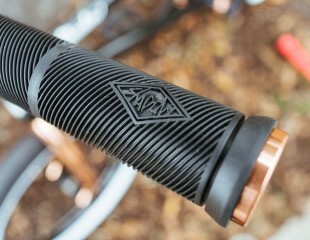 Both Arum completes feature sealed bearings in both front and rear hubs, headset, and mid bb. Also includes a cassette rear hub with 14mm axle, 3 piece cranks, and a Subrosa top load stem keep your bars tight while pushing your skills. 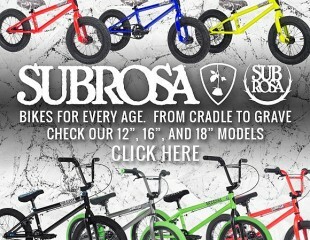 The frame includes a seamless chromoly top and down tube, 100% chromoly forks with tapered legs, 100% chromoly bars, and aftermarket parts from Subrosa, The Shadow Conspiracy, and Rant. 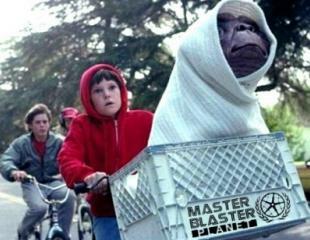 This bike is brand new, and comes in the original manufacturer’s box. Weight: 27.4 lbs. 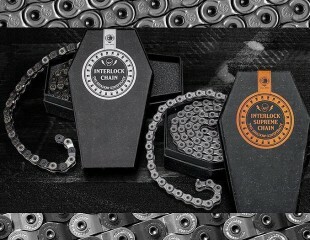 « SHADOW CONSPIRACY DECISIVE MILITARY JACKETS JUST ARRIVED!